Thelma Leartric (Lee) Tarver Bronson was born on December 31, 1931 in Bullock County, Alabama to Sara Jane Tarver Coleman and Reverend Brady M. Tarver. She was the fourth born of five children. Thelma attended Merritt High School in Midway, Alabama she graduated in 1951. She then attended Alabama State University (Montgomery, Alabama) a Historical Black College/University (HBCU). She graduated in May 1956 with a Bachelor’s of Science in Secondary Education was a member of Alabama State University alumni and Merritt High School alumni. Thelma was very active in the “Civil Rights Movement” and the Montgomery Bus Boycott. Thelma was baptized at a young age at Mount Zion Baptist Church in Union Springs, Alabama. After moving to Cleveland, Ohio, she united with East Mount Vernon Missionary Baptist Church on March 13, 1977 (late- Reverend Floyd Thomas). Thelma was very involved with the Mother’s Board, served as treasurer of the Mission, she taught Sunday school, and sang in the Senior Choir. She was ardent fund raiser for Women’s Day and other church ministries. Thelma married her childhood “sweetheart” Johnnie T. Bronson, Sr. on July 2, 1956. She celebrated 62 years of marriage and produced four children and had two grandchildren. 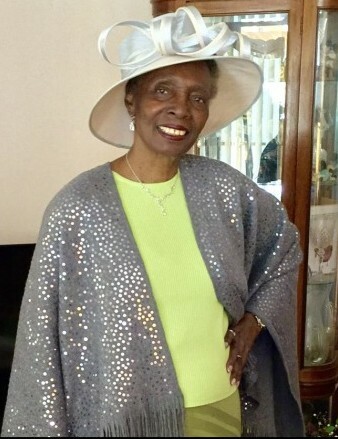 Thelma served as a military wife and her career as a teacher of social studies, health and physical education, English and biological sciences. After her retirement as a teacher, she continued to serve as a Supervisor of Nutritional Food Services at A. J. Rickoff Elementary School for twenty plus years. Her outside activities that she loved were gardening (Miles Community Club) in which she participated over 40 plus years. She was also an excellent baker. Thelma was an active member of the East 108th Street Club, loved sewing, crocheting, knitting and especially spoiling her grandchildren. Thelma was preceded in death by her sibling’s, Brazil Tarver Hunt (James), DeVelma Tartt (James Tartt), Hazel B. Williams Pruitt (John), and Brady M. Tarver, Jr. (Mary- living) and leaves to mourn her husband Johnnie T. Bronson, Sr.; daughters Branetta Bronson-Ross (Marlon) and Sherry M. Bronson; sons Johnnie T. Bronson, Jr. and Michael R. Bronson (Alesha); and grandchildren, Mason G. and Sydney N. Bronson. Special Mention Patricia A. Tarver Jones, her niece, whom she assisted in raising. Much Love to the families and friends. The Tarver, Lee, Hunt, Williams(Pruitt’s), Robbins, Maryland, Pleas, Bronson, Thomas families, East Mount Vernon Missionary Baptist Church members (Reverend Arlyn K. Davis, Sr.) and a host of nieces, nephews, cousins and friends.